Is a Stitch Eraser on Your List? Stitch erasers are nice but do you really need one? Read on to find out! 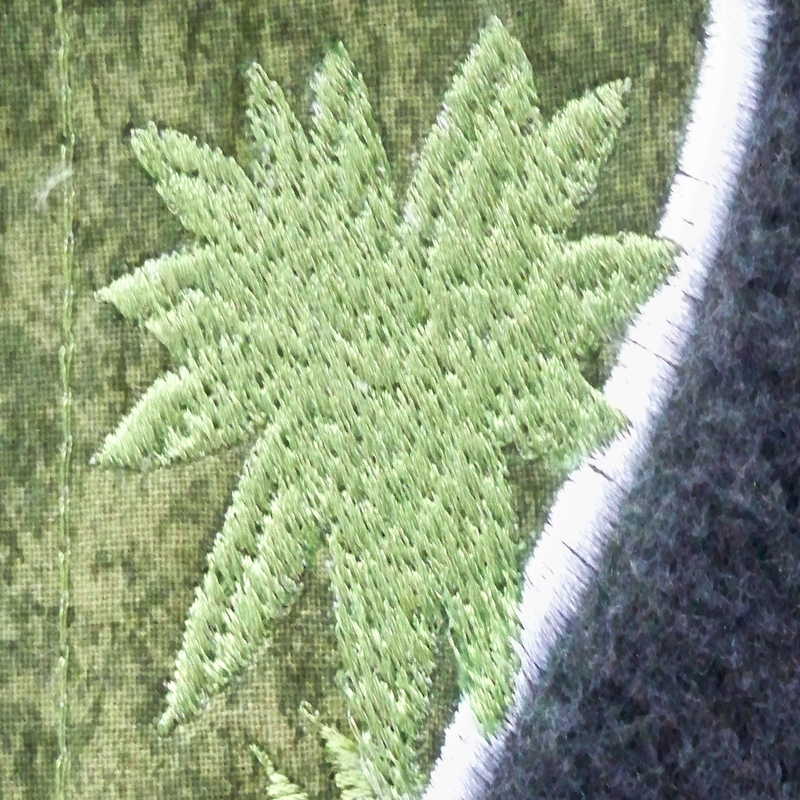 Recently, I decided to try using variegated thread on bushes in an embroidery project. The mistake I made was not doing a test stitchout. 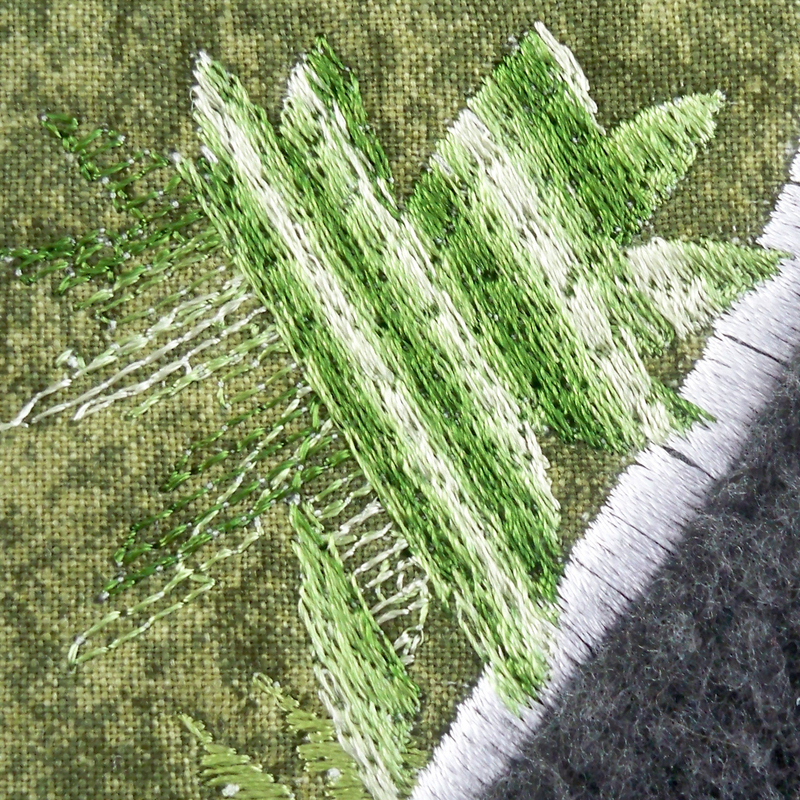 Variegated thread changes colors in certain increments, generally every inch. While I was hoping that the shrub would show shades of green, it actually stitched in stripes of green. 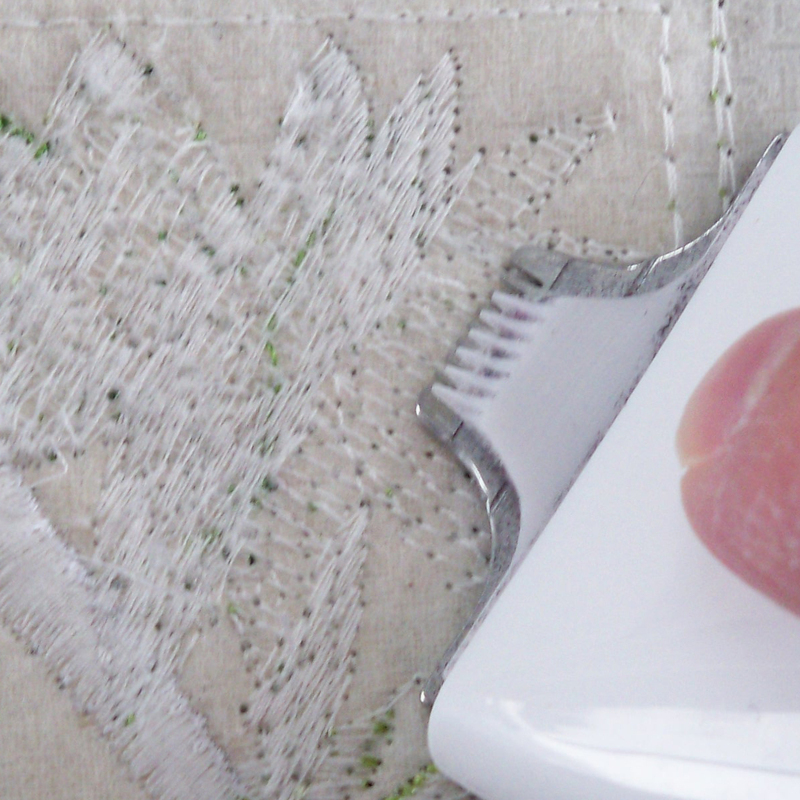 Stitch erasers are an embroidery tool you don’t even know you need, until you do. Then, they are a godsend. 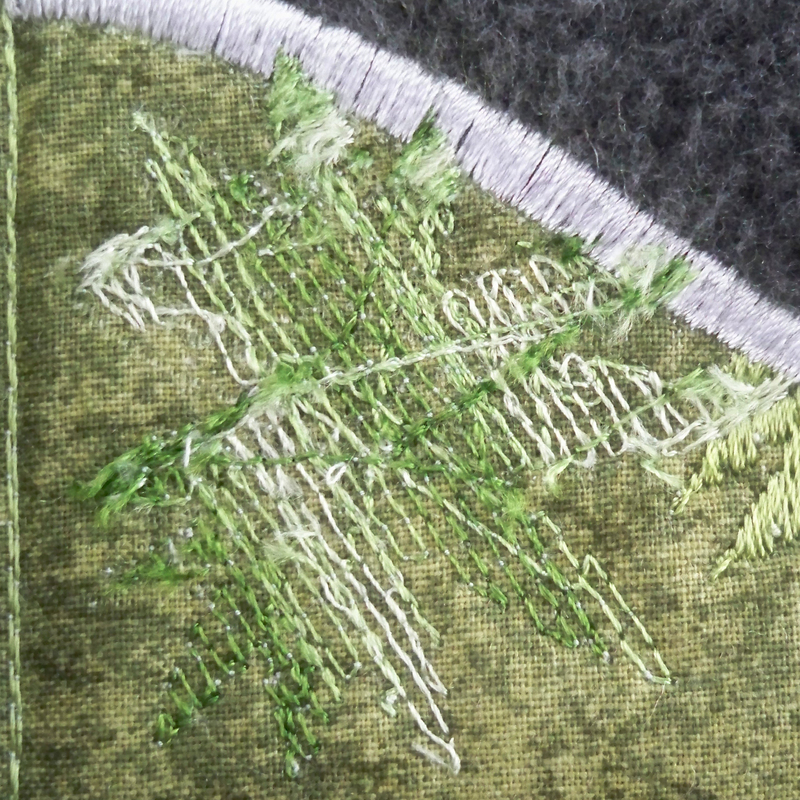 Stitches are removed from the back of the embroidery. It takes surprisingly little effort. Just slide the cutting blade along the bobbin stitching on the back of the embroidery. Turn over the hoop and carefully brush the surface of the embroidery with your finger nail. Threads rake right off. Although you can eliminate all stitches, I left some of the underlay since it would be covered by dense fill stitching anyway. Restart the embroidery that was erased, and you’d be hard pressed to know that there was ever a blunder. You do have to be careful when using stitch erasers. Be sure to operate on a flat surface to prevent the embroidery from stretching in the hoop. Avoid over-use of the stitch eraser. A little big goes a long way and you can cut through fabric if you are not careful. We all make mistakes. That doesn’t mean anybody has to know! There are many types available. Which did you use? I never used one and have always done my unpicking with a seam ripper. Hazel, I used Ann’s Electric Stitch Eraser from Ann the Gran. It is pretty much identical to Peggy’s, right down to the instruction book. I was surprised how well it worked as I have always used a seam ripper too (or pitched the project)! Carolina, there is a link under the stitch eraser photo above. Otherwise, you can do an internet search for types and pricing. This is a good time of year as there are many holiday sales!